Monog Records debutant Tanzlife, delivers a brilliant remix on OVA, a remix that hones into his sound beautifully. Since 2010, Polish DJ and producer has been churning out top quality vibes in all forms of house music and techno. He has made a big impression around the world having appeared on top labels such as Let’s Play House, Local Talk, Moda Black, Stripped & Chewed, U know Me Records and Wasabi Records. His music is supported by a host of jocks who pay attention to his ever-evolving sound. Still fresh, still developing, this guy certainly knows how to work a track, great to have him here. On the remix here, we’re treated to a superb tech fuelled groove that is sure to get the floors moving. Tight beats and shuffling percussions deliver a cool rhythmic flow as contrasting, bright arpeggios and grizzly stabs merge. A powerful bass sits perfectly on the low end, allowing the finer elements to shine, making this a definite must have. Safe Way is a very nice chunky slice of tech with a sprinkling of progressive thrown in. Punchy kicks and crispy hats lead the way an infectious, bubbling bassline weaves through the groove. Hypnotic melodies ebb and flow alongside harsher stabs to create a dynamic vibe which will appeal to any dancefloor. The track really draws you in thanks to the mesmerizing pads that remain a constant throughout. An absolute banging track that will definitely get a lot of attention. 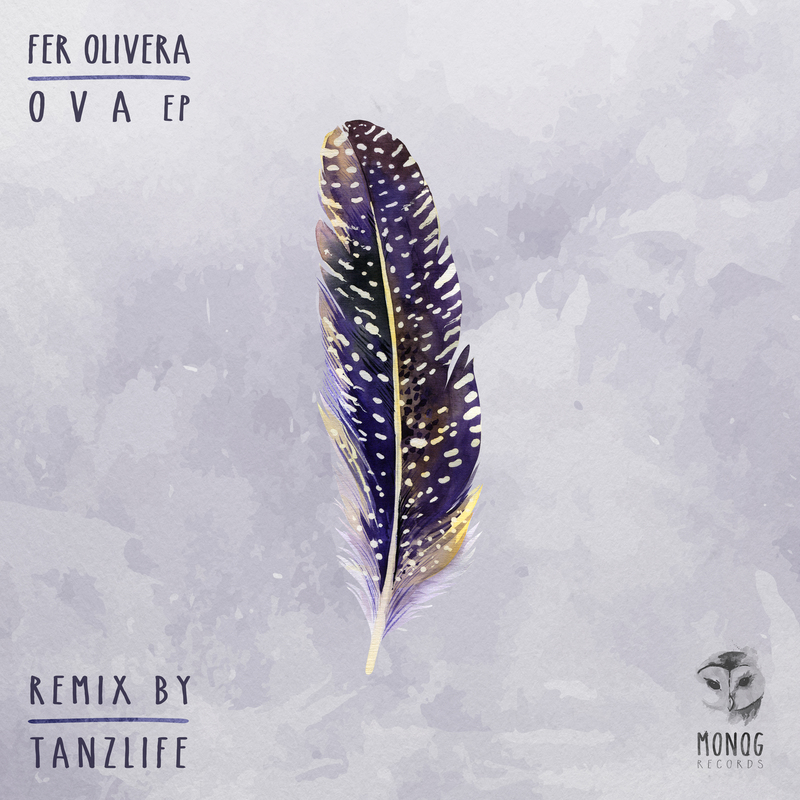 Argentina based DJ and producer Fer Olivera returns to Monog after a bit of a hiatus with the superb OVA EP which comes backed up with a solid remix from Tanzlife. Since 2015 Fer has been ripping up the clubs and festivals alongside India Productions with the event Keep Moving. He has played beside top names in the underground scene including LondonGround, Ariel Rodz, Ronan Portela and Deep Mariano. He made his producer debut with Conviction Recordings in 2016 and he continues to refine his unique sound with quality productions in the house and techno spheres, great to have him back for more. The Original Mix of OVA intros with a fading in sequence that teases with soft melodic arpeggios, a pulsing bass and sharp synth stabs. An intensity builds which locks you on before solid, punchy beats and shuffling hi hats get the groove moving. A very nice blend of delicate and tougher sounds combines beautifully, especially on the break. A top-notch slice that will not disappoint. Markus Kavka, Jelly For The Babies, JEPE, Javier Orduña, Niklaus Katzorke and many more. For demo submission, please make sure that your sound fit’s our label first! We only accept at least 2 tracks and has to be sent through Dropbox link or Soundcloud private link to demo[at]monogrecords.com. Make sure that the tracks are in mp3, 320kps format. Also, please put some information about you, like the labels you released before and your background. Please do not send your tracks through email attachment because it will be automatically sent to trash. We usually answer everyone, so please be patient! Monog Records is a music label based in Berlin, which aims to create a unique connection with it’s artists and their music. Each relationship we have with our artists is treasured as much as the last. We want to be there for all occasions by connecting promising and established artists, building the ground, supporting each other and sharing our love as a family alike. Our name comes from the word “Monogamy”, the state of having only one partner at any one time. In many cases, this word is used to refer specifically to marital monogamy and this is what we are about. We define Monogamy not as a death sentence but as an idea of sharing the same path together. Monog Records seeks to refine the concept and turn it into a “Musical Monogamy”: two individuals/parties with one shared music soul. The owl is our mascot, our guide, our loyal friend. This monogamous night hunter is a symbol of wisdom and mystic force. Since we can’t avoid how many things we have in common, it has become the symbol of our label. Monog Records was created in 2010 by Joal and re-launched in 2017 by Bruno Otranto. Monog does not follow any Electronic music trend. What matters to us is being able to support our artists by accepting who they are, which seeds they sowed in the past to get them where they are and that they have the opportunity to be free to express themselves through their music. You can find our music in stores like Beatport, Spotify, Whatpeopleplay, Traxsource, Itunes, Junodownload, as well as on all the main streaming services.